This was another flea market find, the Yellow Rose. 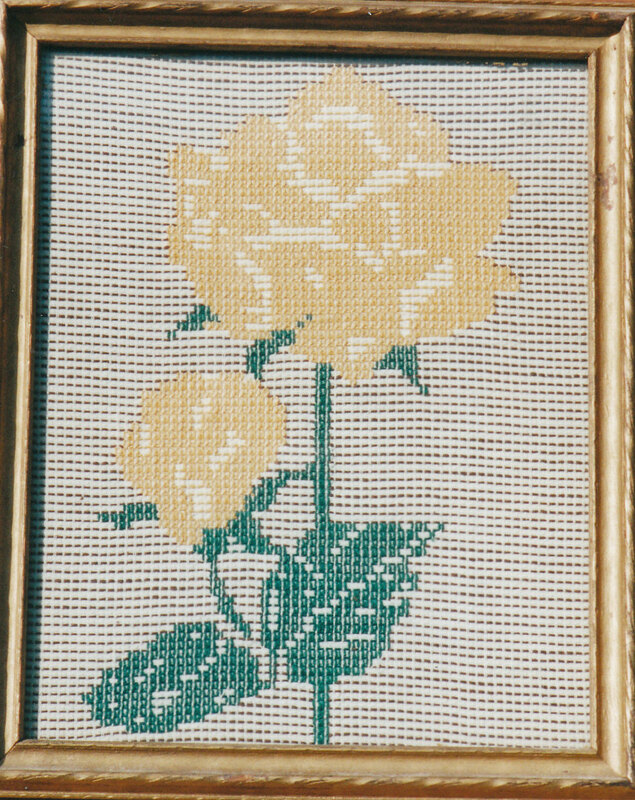 I love roses, it went with our bedroom colors, & I was fascinated by the simplicity of the stitching. I’m not sure what kind of stitching it is actually. Our ANG Main Line Chapter is going to do the Soldier Family Kissing Pillows as our next community project. So, this is in honor of Geraldine (Jerry) Trappey) & her Yellow Rose Chapter of EGA. She has supplied the chart & supportive information for our efforts.